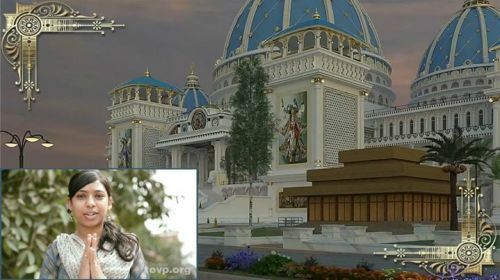 Bhaktin Sakshi from Delhi, India decides that the scholarship money she received from her college would best be spent on “higher education” by helping to build the TOVP to fulfill Srila Prabhupada’s desire to bring millions of people to Mayapur, and ultimately back to Godhead. This is truly the best use of intelligence in the Lord’s service and a wonderful example of sacrifice. 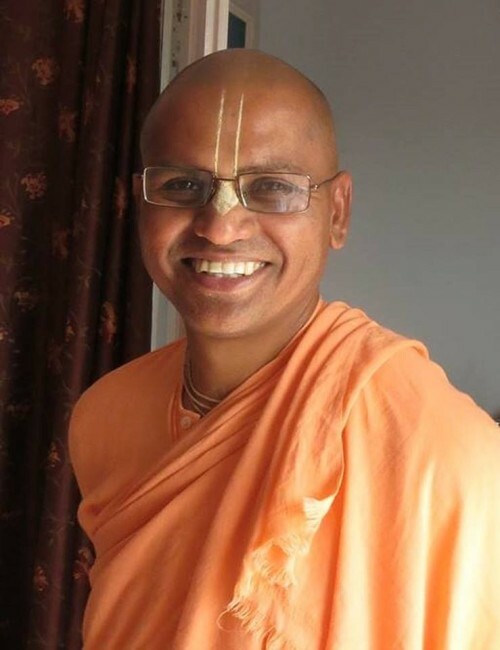 His Holiness Bhakti Prema Swami received initiation from His Holiness Bhakti Caru Swami Maharaj . 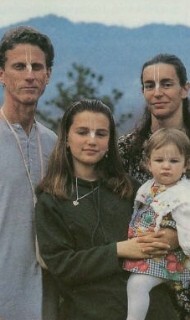 He came in Krishna Consciousness in 1994. 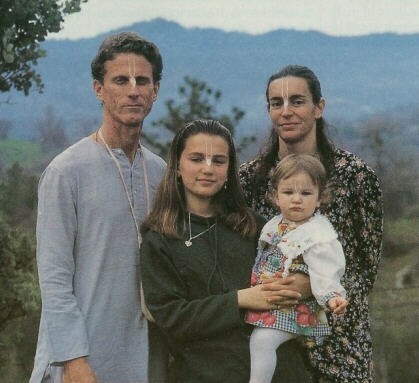 Since 1994, when he was 27, he is serving in the mission of His Divine Grace Srila Prabhupada. He sings Vaishnav Bhajans melodiously and beautifully explains their purports. 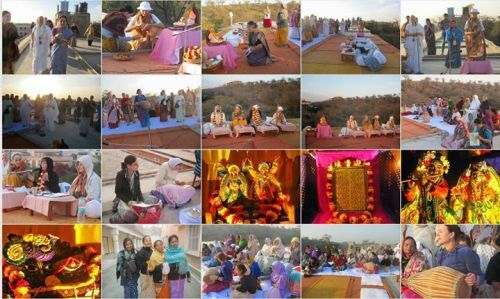 He focuses on establishing loving relationship with devotees and everyone else. He preaches in English, Hindi and Bengali in Ujjain and many other places of Madhya Pradesh especially to college students. It was at a tent program in the center of Mumbai during a warm March evening in 1971 that I first encountered actual knowledge. Srila Prabhupada was speaking, and although I missed much of what he said because of his accent, I sensed that I was hearing something worlds apart from all that I’d ever heard before. The experience was scary but exhilarating, and something in me that had been sleeping began to stir. 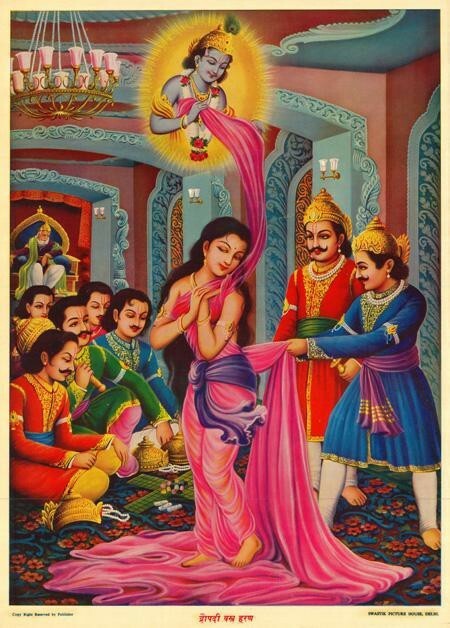 Because Prabhupada was noble, learned, and gentlemanly, despite myself (I was an atheist at the time) I respected and had some faith in him and wanted to understand what he was saying. So I listened to him and his followers. 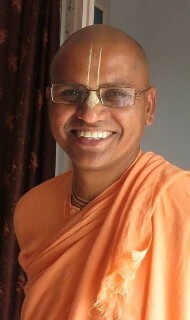 Bhaktivinoda Thakura describes the six practices of those serious about dedicating their lives to Krishna: accepting things favorable to devotional service, rejecting things unfavorable to devotional service, accepting that Krishna is our only maintainer, accepting that Krishna is our only protector, developing a deep sense of humility, and fully giving ourselves for the purpose of guru and Krishna.